Pumpkin spice season is far behind us, the snow has settled in, and spring is but a distant glimmer in the future. But Starbucks has us excited to settle down into the winter winds thanks to their cozy new menu items. There’s nothing worse than pulling yourself out from those warm blankets in the morning only to arrive at work cold and hungry. Instead, you can now stop by Starbucks and add an order of the new new ham, cheddar and peppers sous vide egg bites to your usual. Each one is small enough to easily eat on the go and stuffed with the flavors of a classic Denver omelet, including cheddar, cottage, and Monterey jack cheese, uncured ham, cage-free eggs, onions and red and green bell peppers. If you’re a little hungrier, try a new ham and Swiss panini. It’s made in the classic French style, meaning there’s an ample amount of both Swiss cheese and butter on the bread. Not just any butter, though — this one is spiked with Dijon mustard, which has a sharp spiciness that helps balance out the salty sweetness of the uncured ham. Those with a sweet tooth haven’t been left in the dust. 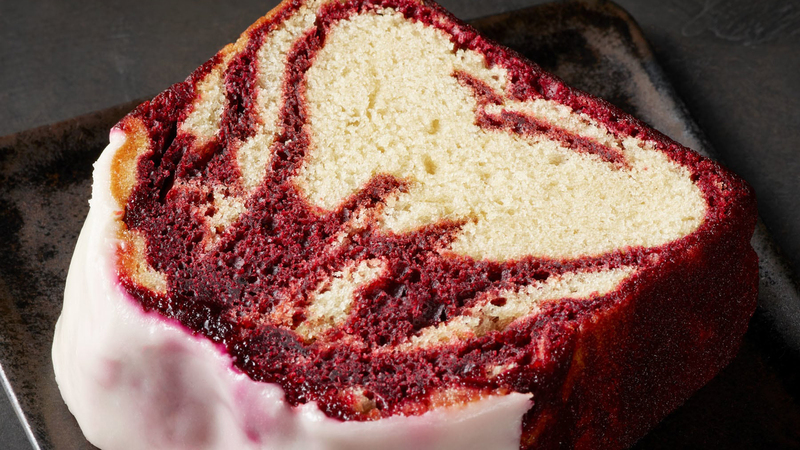 Treat yourself to a little everyday celebration with a slice of marbled red velvet loaf cake. Swirls of vanilla and red velvet are topped with a sweet white chocolate icing to make up this craveable confection. Last but not least, the morning bun offered at Starbucks has been given an upgrade. The new recipe allegedly results in morning buns that are flakier than ever, but we’re eager to test this one out for ourselves! Luckily, we have a lot of time to test one out, because other than the red velvet loaf cake, all of these yummy winter additions will be available permanently. The cake is only here for a limited time, though, so you should try some while you still have the chance. It may seem like winter is unending at this point, but spring will be here before you know it.